SHINDO USA Co. - The company is more than ribbons, but ribbons are enough for this store! You know the saying, "If you have to ask, you probably can't afford it..."? Looks like a chain, but is actually a fiber cord! While you do have to ask at SHINDO, much of their merchandise is quite affordable. Previously mentioned on this blog in 2011, (see previous post for info, which remains up-to-date) it is easy to forget about this one, since it is a bit off the beaten garment district path. There is no swatching, but photos are allowed. This huge Japanese company is much bigger than just ribbons, but this store location on 36th Street is mostly ribbons and trim. 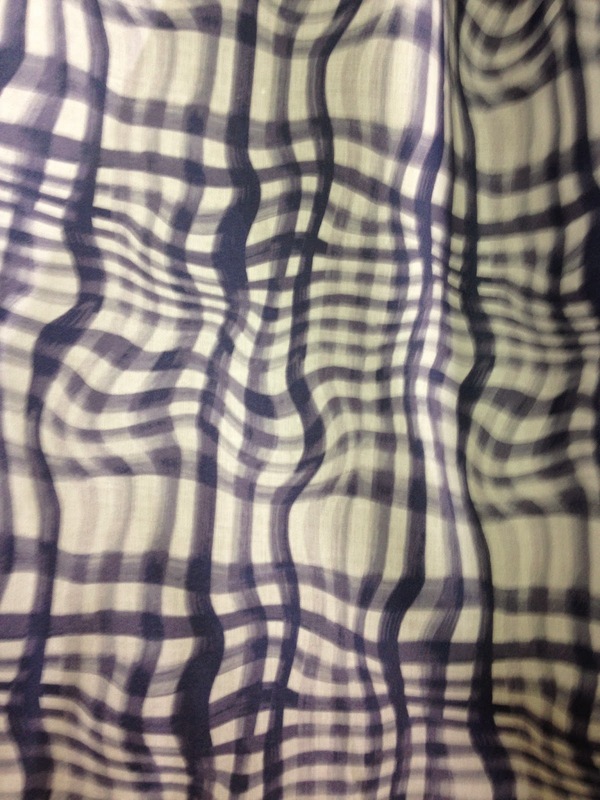 Spotted this fabric at Rosen & Chadick yesterday. I love this fabric's "Willy Wonka" vibe. It calls out to be paired with denim, suede, or something wildly textural, as part of a unique signature piece. If used as part of a bag, the person who carries it MUST have candy inside. At the vintage clothing sale earlier in the day, I spotted some lovely Koos Van Akker pieces, who, coincidentally, was a longtime, faithful customer of Rosen and Chadick. 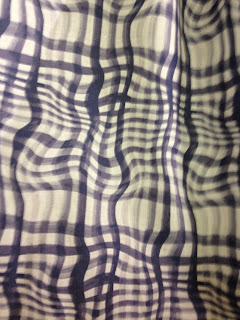 Peeking out at Rosen & Chadick... a Koos-like fabric. Although... I must admit that I'm surprised no vintage retailer came along and negotiated a price to simply haul it ALL away! and hesitated to cut into it because I wanted to make sure I chose the right project. The question, "What do you want to wear for the prom?" (an 8th grade dance in the school gym, really) was met with shoulder shrugs and a general lack of interest. So, I had to go it alone. I found the right yellow to make it "pop". And created a swirly, twirly, simple dress! Yes, my friends... it appears my daughter's "prom" dress was a stash creation. And she loved it. And she had a great time, too! What can I tell you about yesterday's Speakeasy tour? Well, it was a lovely and intimate gathering of fabric enthusiasts, with my wonderful friend, Cindy, along to add her professional experience and expert guidance during the afternoon portion of the day. 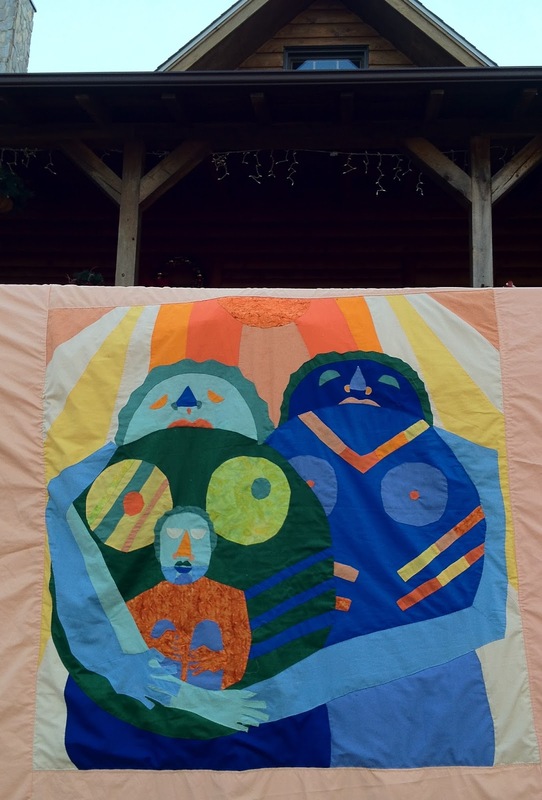 The participants were an absolute joy to lead, and our fabric finds were awesome! While the regular secrecy was important before our excursion, as usual, I curated the best spots before this trip to see who has great stuff right now, and we actually bought the LAST yardage of some of the things we found, so no harm in you knowing some specifics! One of the participants spotted this lovely stretch knit fabric at Paron, and, while trying to stifle my pangs of longing, I photographed it, stroked and tugged it... and alas, after she bought her yardage, some the rest of it came home with me! Paron, by the way, is currently having a huge summer sale with deep discounts. 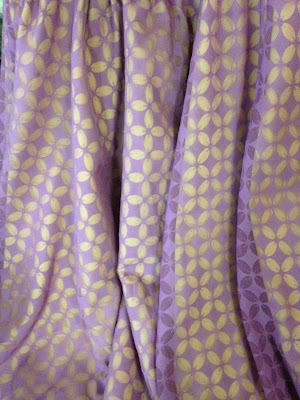 From Metro Textiles - delightful, tough, stretch fabric perfect for a slim skirt or shorts/pants. Also note, Metro Textiles has prices you have probably only dreamt about for some of the fabrics of your dreams. No lie. While out and about, we saw some great cotton prints, priced well below $10/yd., Cindy showed the group some fantastic ponte knits, Metro Textiles had some things to die for you gotta see to believe, and some scuba that blew my mind, and there are some pretty amazing offerings in the trim stores, too. We also saw some pretty wild fur fabrics at Fabrics & Fabrics... and get this... in a store that HUGE, one of the tour participants, with no suggestion from me, bought yardage of a wonderful fabric I also fell in love with and already have at home, in my embarrassingly large stash! 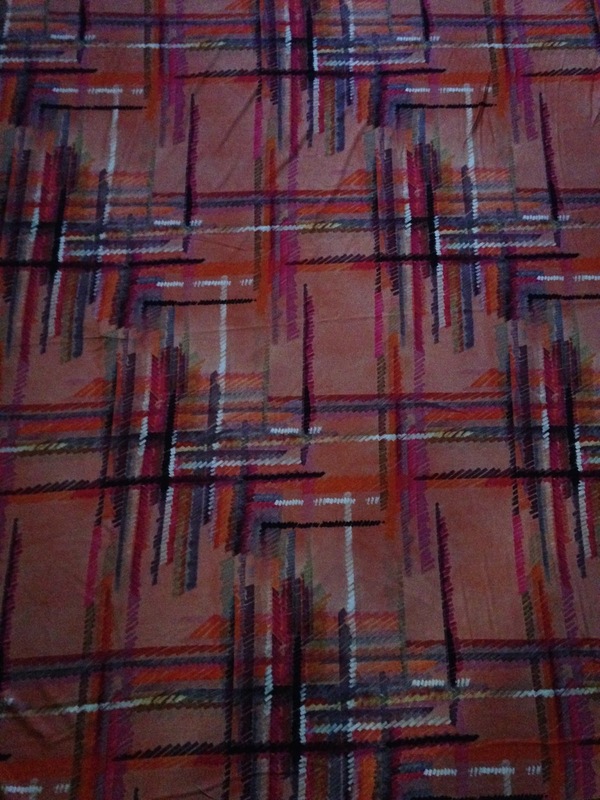 Hers was a deep pink grid, but same fabric! Of course we visited other places, and found great things in those places, too, but if you wanna know everything, come along on the next one, or buy a map! Are you a feather fan??? Updated, with additional comments taken from John C's (business manager) Yelp page. I was guilty of giving similar comments, so I wanted to make sure that HIS words were here, too! 3/12/2015 Just a few corrections: Our elevator is small. Our vestibule area is small and there are no feathers in it, just some photos and magazine pictures which Jay's wife sticks there. Once you step out of our vestibule, our place is long and narrow. We are wholesalers. We sell as little as one feather, or one "string" of feathers (sometimes called a "bundle"). We do not cut the string. Our customers buy the entire string. Some strings cost ten dollars. Some cost thirty dollars. The photos on the walls of our vestibule are not of Jay or myself. Some of our male customers do dress outrageously. A little skin may show. Nothing to be afraid of. Jay's wife would never hang a scary or distasteful picture. (Her grandchildren come here occasionally). Just thought I'd set the record straight after looking at this review, (and finding it amusing), for more than 3 years. AND NOW we have a larger elevator! 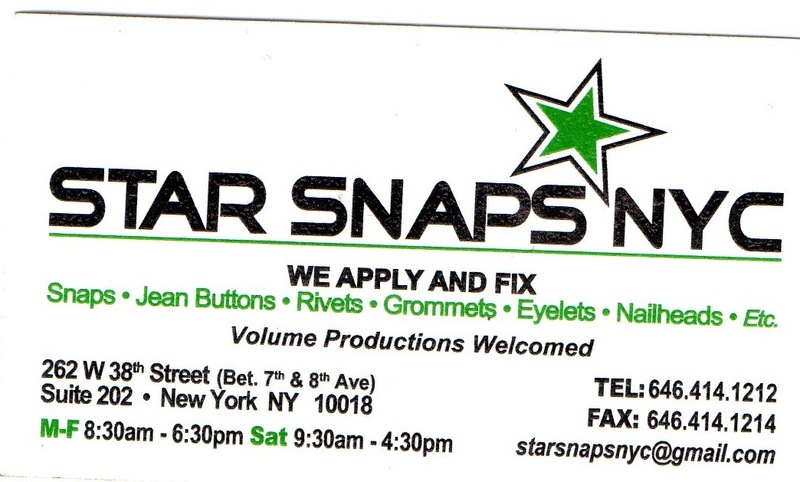 We have moved to 144 West 37th Street, between Broadway and 7th Avenue. 4th Floor. Bigger, well-lit vestibule too. We moved in Nov. 2013 . . . because our old building is being torn down to allow for the construction of yet another midtown hotel. Progress. Ugh. PS As of today, March 12, 2015, there is still no hotel where our former building stands, so they didn't have to rush to push us out of there. Where we are now is nicer than the old place . . . so no complaints. I made this for a client a few months ago. 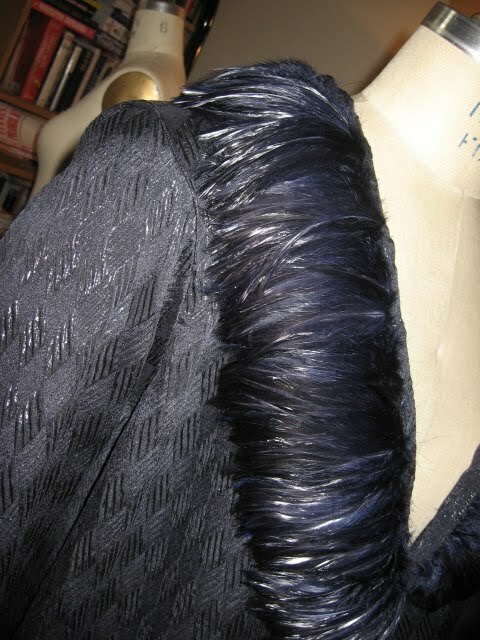 Feathers can really make a garment so much fun! Readers, here's the deal. There are many shops in the garment district who are run by second or third generation, hardworking owners. They are not like the business who try to woo customers with manners, sweet-talk, promotions, and fancy retail establishments. Visiting some of these places require trips in rickety elevators in old warehouse buildings, and interactions with angry, squinting merchants who would rather not speak to you. Well, that can happen in the garment district. However, if you an navigate these environments and develop relationships, you can find wonderful things, and create the projects of your dreams. Now, sure there are plenty of places to find feathers, and feather trims. If you don't mind emptying your wallet at M&J Trimming, you can find some pretty exciting things. Chances are, what you find there will direct your design - not the other way around. But... let's say you could just dream for a bit, and imagine glorious plumage surrounding a collar of a dramatic duster coat for a grand evening out? Let's say you want it to be turquoise. Can you find it? You can at Dersh Feather. So let's say you just clicked that link. What did you learn? Nothing? Exactly. That's why you need to go. But wait, before you go, you have to know what you want. You have to find a picture of something that looks like what you want. You have to know whether you want them sewn together in a flexible line (the way you would need to surround a collar, and develop your terminology. Do you want them dyed? Bring a swatch of the color you want. Don't make them explain things to you. Why would you want to do this? Because you can create something truly unique based on the design in your head and heart, rather than letting what you find in a retail store dictate that to you.</> If you ask if they sell to the trade only, the answer is "Yes, primarily... but if you already know what you want..." (shoulder shrug) So, if you are a business, great. If you aren't, you can still buy. Okay, so we've covered the getting what you want part. But here's another consideration. They are the importers, so what you save in markup over the retail stores (if it were even attainable) is AMAZING. So let's say you go to Dersh Feather. It is NOT a retail environment. It is a very crowded room full of feathers, and a few employees steaming, organizing and sewing away. Boas hang from the walls, boxes on shelves from floor to ceiling... the words "fire hazard" come to mind. You will be greeted with suspicion, most likely. If you actually want, and are ready to pay for something, you will make fast friends. If you are a browser, the elevator button may be pressed for you to quickly make your descent. Dersh Feather & Trading Corp. 25 West 38th Street New York, NY 10018 Don't say I didn't warn you. There will be a Speakeasy on June 19th, 2015! There will also be a July 27, 2015 Speakeasy! The itineraries are identical. Prices are identical. Armed with your "Secret Map" and your own interest in or desire to visit the many other stores you see or have learned about, you may visit more garment district stores on your own if you wish, and give unique codes (that you'll get from me) to vendors who will give special assistance/discounts. The cost of this guided, efficient tour is $80 per person. If you use this trip to shop and participate in what the NYC garment district has to offer, you will save at least as much as you are paying in supplies and education, and probably far more. This speakeasy is a "go"! As of today, we have two committed participants, anchoring this event. This speakeasy is a "go"! 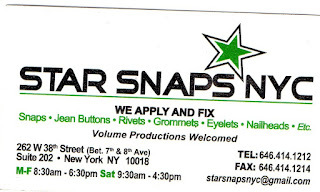 Update: March 13, 2015 June 18, 2015- Star Snaps is in a popular new location (316 W 39th street - street level) Nowadays, you can expect to wait on at least a short line! What a find! We all know how the professional look of your garments can be limited by inadequate tools and findings, or your own skill in applying them. You can make a great garment, but, lets get real... a homemade or sloppy-looking closure can really sink a great piece. Unless you are particularly good at achieving artfully handmade-looking details, it is wise to outsource those tasks when you can. While the business card (top of this post) says it all, here's the winning feature: You walk in. You are greeted kindly and professionally at the counter. You tell the employee what you need. If you don't have the vocabulary for it, (in my case), he guides you. You ask him how much it will cost you. He gets you to specify how many of which item you need installed, by showing you a vast array of snaps and other fixtures on big sample cloths hung conveniently on the surrounding walls of this small office/studio. When you give your answer, he adds his own professional expertise, which helps you to make a better decision. He asked how many snaps I would want to apply. I hesitated. He patiently indicated how many snaps a western shirt usually has, and where they are located. He knew to ask me whether there would be breast pockets. See? That's thinkin' ahead. Anyway, the price? Incredibly affordable. So worth it. During my time there, about three other patrons entered, and each was walked through his/her request with the same amount of patience and attention. Highly recommended. A+ for Star Snaps. First of all, let me tell you that I know that this is a *trick*. Internet gurus tell me that people like lists. Personally, I tend to ramble. Why 10 things? 10 is as good a number as any... right? 1. Household sewing needles, not just ORDINARY sewing needles. These curve, stab, and manipulate strange terrain. 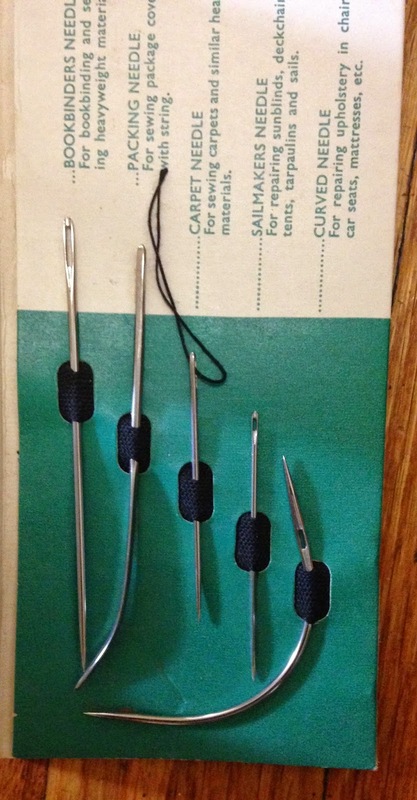 (Similar ones are linked here, available at Manhattan Wardrobe Supply) - The curved needles help repair a sofa, carpet, bind a book, seal a pillow, sew a slipcover, fix any awkward and unweilding shape or tough fabric! 2. Great scissors - I really love my own scissors, and can't be convinced otherwise, but the right scissors for a dedicated sewing enthusiast is like the right pencil for an artist, or instrument for a musician. Frankly, though, I wouldn't say there are too many great choices. There are only poor, mediocre, good enough, and PEERLESS! Mine are about 30 years old, but they are still magical! Where to get them: The advice on this is more than just a list of store names. See this post for more information. Also, know where to get them sharpened. 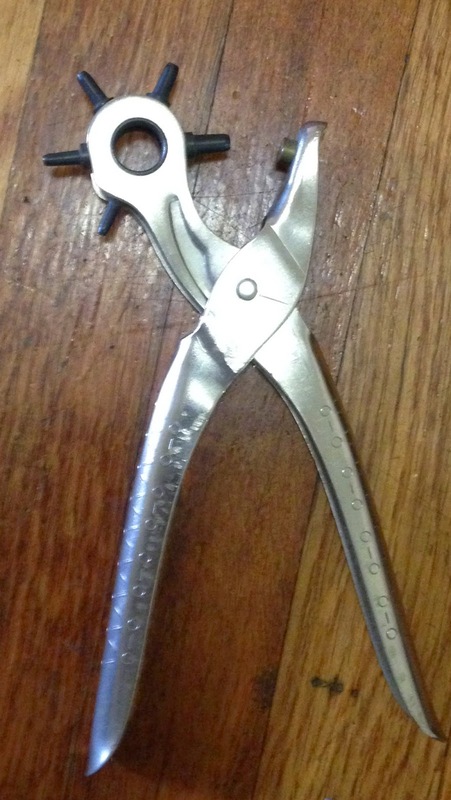 A necessity for sewing curved and hard-to-reach areas. A good ham is a solid, heavy, densely packed tool that will last a lifetime. 4. Silamide thread - for hand sewing and beading, especially. Where to buy one: Look at this post for suggestions. 6. A great (not good, but GREAT) mirror. You should be able to see your (or your intended wearer's) full body clearly in it. Bonus points for portability and ability to tilt, like a cheval mirror. Added benefit; you can capture BOTH the front and back of a garment from the right angle in a well-positioned mirror. This one is similar to mine, which is about 15 years old now. Where to buy one: This is an extreme solution, I know... but King David Gallery is the best place to get the best mirrors EVER. Find your mirror, but it, the grab a taxi or have someone drive in to meet you to pick it up. 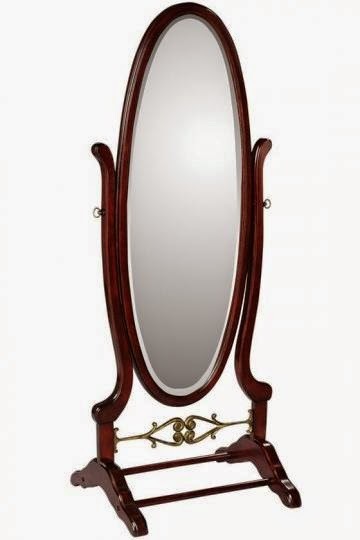 The prices are good, (so is the customer service) so you should even get a not-so-fancy mirror here, because it will be the BEST not-so-fancy mirror. 7. 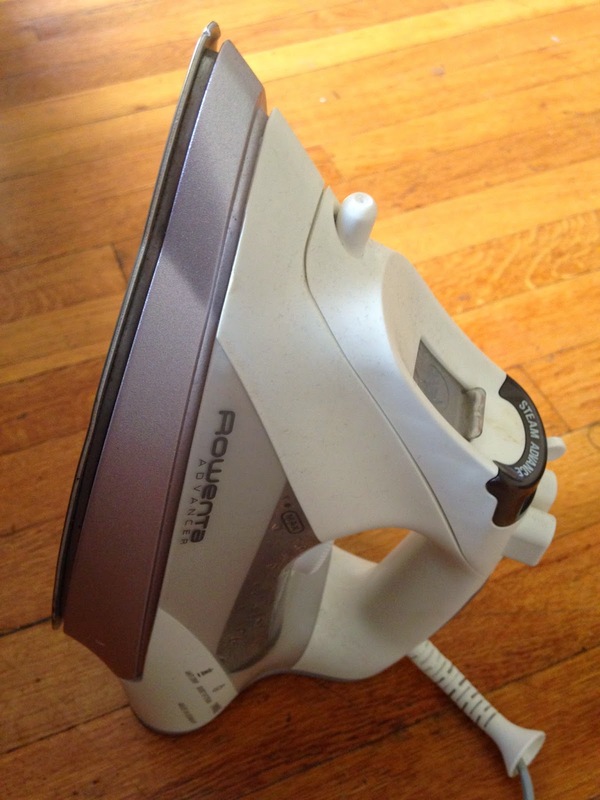 A good (but great is better) iron. Depending on your space, you can get a fancy-schmancy gravity feed, or work with a lovely Rowenta or other quality brand. It should steam well and with considerable "oomph", and it should have a pointy tip, perfect for getting into corners and difficult spots. My own Rowenta - the third one I've owned in 25 years or so. 8. 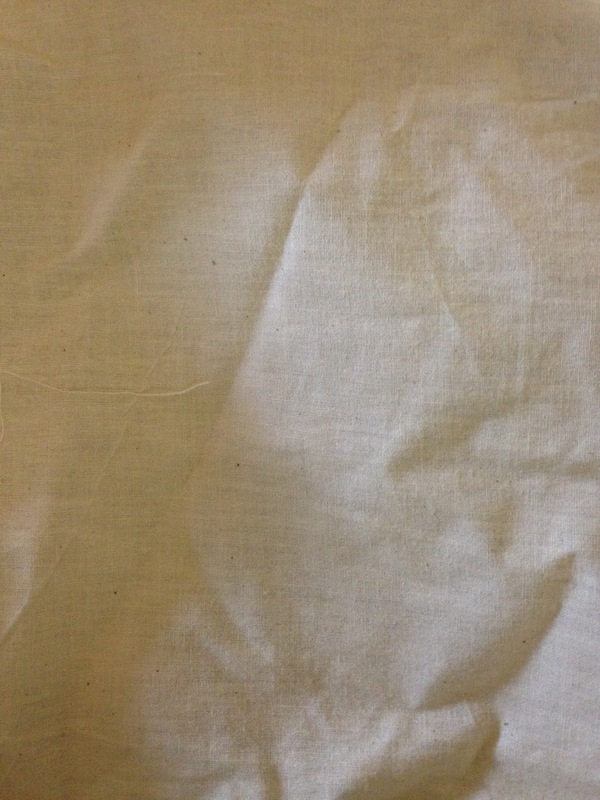 Quality muslin for test garments. What, you don't do this??? (LOL, I know we've all skipped this step when we can afford to) But if you drape your own designs or test out your design before you sew with pricier fabric, your muslin needs to be on grain and mimic the weight and behavior of the fabric being sewn. When working with woven fabric, and accuracy is important, quality muslin is a must. 9. Quality interfacing. 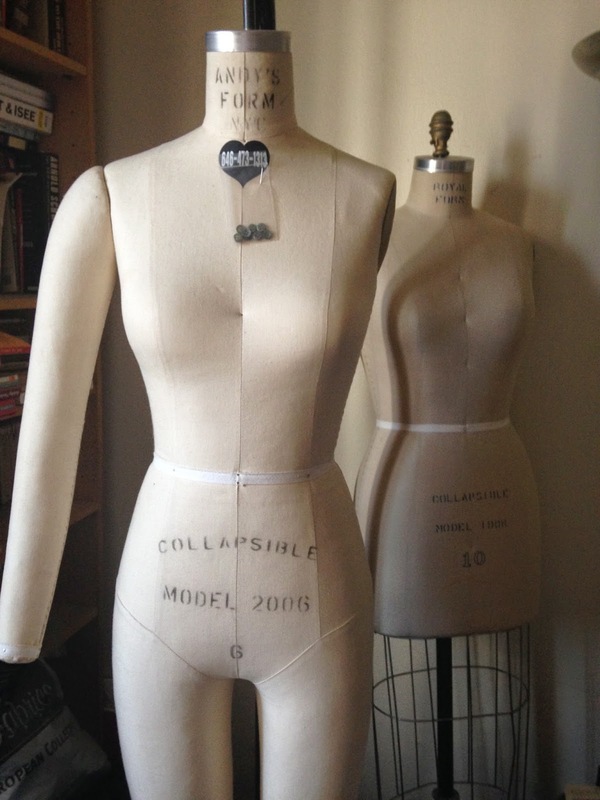 Fusible, woven, black, white, heavy, light, tailoring canvas... you need the right interfacing to sculpt the shape you need, and stay strong throughout the life of the garment. 10. Revolving leather hole punch. This works for tough fabrics and leather! I use mine "awl" the time! And not just to sew - Sometimes a belt needs another hole, or I want to install grommets in something, or I have to attach leather tags to stuff to prevent it from being lost- I've used this contraption a million times for a million different reasons! So fine, yeah... in reality, there are more than ten supplies you'll need, but we've gotta start somewhere, right? In a fit of bookshelf cleaning, I recently listed some of my quality books to sell on Amazon. In my opinion, this has proven to be a very easy way to relieve myself of some extra books, without the guilt of throwing them away, since our local charities and libraries are overrun with donated books. Much to my surprise, (and discomfort) one of the people who purchased a sewing book I was offering is an inmate with a federal prison shipping address. Frankly, this made me uneasy. Okay, I'm treading lightly here. "Mitchell has a job with a yearly salary of $57,697, overseeing inmates who sew clothes and learn to repair sewing machines at the prison. 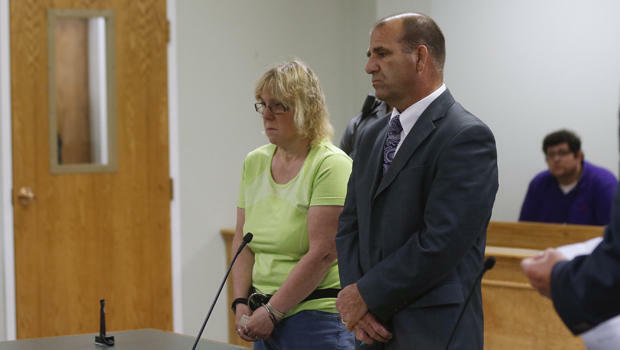 Amid the criminal case, she was suspended without pay." "Why do they need a prison TAILOR?" When I finally said it (before reading the article referenced above), I was happy to hear my husband giggle at the idea, too, because, after all, isn't a general fit standard good enough for a prison uniform? But that's not what her job is about. She is training inmates, who hope to legitimately become ex-cons, to qualify for a job performing a very valuable skill. Good grief, have you ever tried to get a sewing machine repaired? High quality choices are few, and closely guarded, although I have shared my own sources on this blog. Sewing tools are truly multi-purpose ones. Not only can you rip seams, holes, chip and chisel away at things... you can also... well, nevermind. Apparently prison tailor/instructor is a fully legit job, with a respectable pay, assuming, of course, that you don't overstep your responsibilities. 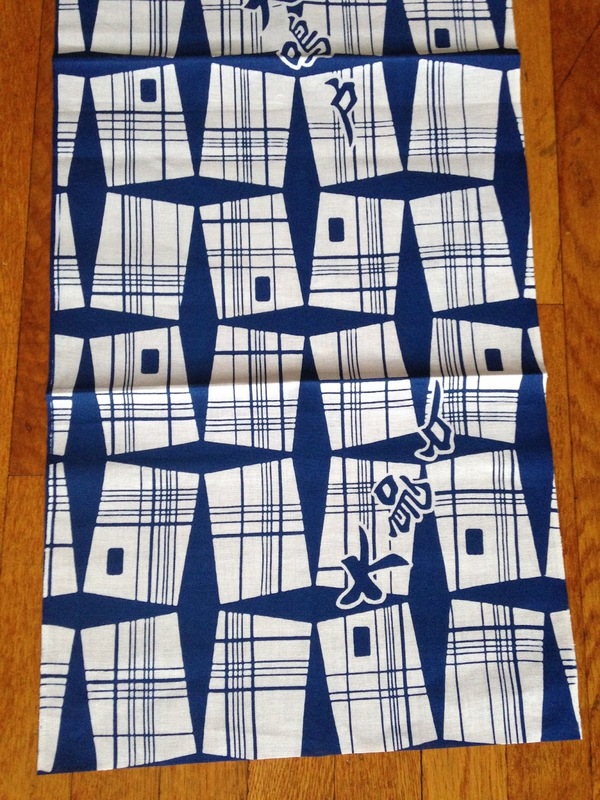 How to fabric shop in New York City - Quilter, Artist, Home Sewer, Home Decor? When shopping in the garment district, it seems the assumption is that you make garments or accessories. Also, it seems that the stores are generally not set up for the home sewer/the weekend shopper/the artist. Retail: Nowadays, just about every store at street level in the district will sell to the retail customer. Very few of the stores are wholesale only. Shopping on weekends: Many garment district stores are closed or operate on abbreviated schedules on Saturday and Sunday. However, there are enough stores open on Saturdays now to make a full shopping day of it, without a problem, provided what you are looking for isn't too specific. For quilters: Because I am often asked this question, I have created a map with stores that would appeal to quilters specifically. You may purchase one here. For artists: You can easily be overwhelmed by all of the choices in the district, and there is no easy path, since what you will love is likely something you didn't know existed before you went exploring in the district! I would say t is best to start with the smaller stores, and work your way up from there, since the smaller stores have carefully curated offerings, more likely to appeal to a person looking for something truly unique! Home Dec: This can be a bit tricky, because flammability standards, strength, and colorfastness make it very important to choose your fabrics wisely according to your end use. With those things in mind, make sure you go to the right sources for what you need. Mood Fabrics does a great job in this category, as do some other stores, which can be found on this map! 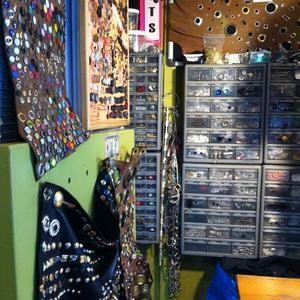 Curious Creative: Now for you, the district is your oyster... You may want to stumble into some of the lesser-known stores in the district, and explore all of the discoveries you come across in not only the fabrics stores, but the other bead, trim, novelty and hardware vendors sprinkled between them all. The options are just endless! As we move into the summer, which is typically a quieter timein the district, I encourage you to explore and create, with the bravery to experiment and innovate, amazing yourself and those you encounter in the process. I'll be rooting for you! Have you ever been fabric shopping in the district, and been (a) happily surprised or (b) disappointed that sales tax has or has not been added to your purchase? Well, I spent some time on the phone with the New York State Sales Tax Information hotline this morning to get to the bottom of this very issue. I needed to make sure I understood it for myself. Are you sewing for yourself or doing this non-professionally? There is no sales tax applied if the fabric or notions you are buying are components of an item(s) you will sell for less than $110, OR WILL NOT OFFER FOR SALE AT ALL. The reason I have highlighted NOT OFFER FOR SALE AT ALL, is because making something for yourself or as a gift - therefore NO SELLING PRICE, will not be taxed, regardless of the amount of your fabric/notions purchase. Does the IRS care if you make something WORTH $1000 if you don't sell it at all? Nope. No sales tax. Boom. Now, there are some "catches" to learn about. And they can get wildly confusing. 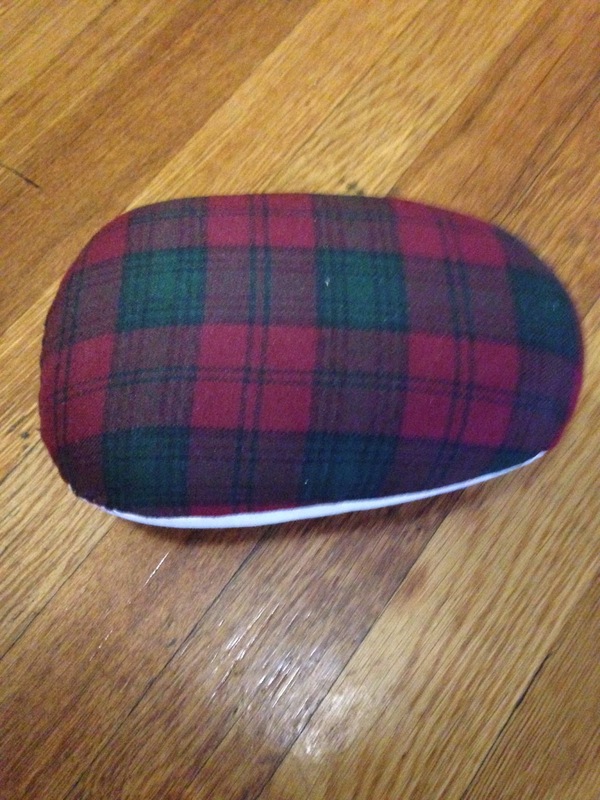 For example: What you buy in the fabric store has to become part of the item. Is that seam ripper part of the item? Not unless you sew it on! Find out about registering as a sales tax vendor, filing and paying. See Sales and Use Tax. Clothing, footwear, and items used to make or repair exempt clothing sold for less than $110 per item or pair are exempt from the New York State 4% sales tax, the local tax in those localities that provide the exemption, and the ⅜% Metropolitan Commuter Transportation District (MCTD) tax within the exempt localities in the MCTD. The MCTD consists of the city of New York and the counties of Dutchess, Nassau, Orange, Putnam, Rockland, Suffolk, and Westchester. The exemption applies only to clothing and footwear worn by humans. It also applies to most fabric, thread, yarn, buttons, snaps, hooks, zippers, and similar items that become a physical component part of exempt clothing, or that are used to make or repair exempt clothing. The following are not eligible for exemption: • Clothing and footwear that sold for $110 or more per item or pair. • Costumes or rented formal wear. • Items made from pearls, precious or semi-precious stones, jewels, or metals, or imitations thereof, that are used to make or repair clothing eligible for exemption. • Athletic equipment. • Protective devices, such as motorcycle helmets. I've looked through my own receipts from the garment district myself. The only thing I've discovered, is that the vendors in the district tend to be consistent with their own policies. Either they tax EVERYTHING or tax NOTHING. Oh wait, that already exists. It is called the kimono. Incredibly practical. Timeless in its beauty. Insanely forgiving. We are in a kimono phase right now in fashion, if you haven't noticed. Google it, and you will see, fashion is all about the kimono right now. To make one, you need to know how to do it, but you do not need to know how to fit or alter, since the kimono requires neither. If an American equivalent of the kimono were to exist, what would it look like? Well, the fabric has to last. Both the color(s) and the fabric itself need to endure. 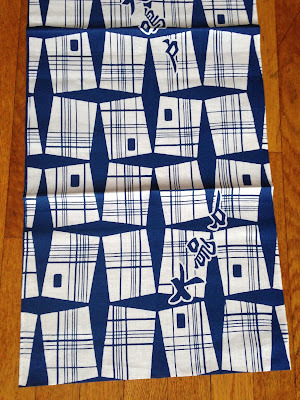 My latest appreciation is for "yukata" cotton. I was gifted this lovely piece of fabric by a friend of mine, who attended a Okan Arts trunk show at City Quilter. It is read "dai-naru-to" or "oh-naruto" in Japanese. It means "great tidal whirl pool".大, dai = big. ( 鳴, naru = ringing 戸, to = door. )鳴戶, naruto = 1. The eddy or whirlpool and its sound caused by the strong low tide and high tide hitting each other. 2. (Not in this case) The semicircular fish past on a wooden plate, kamaboko, which is rolled up white fish past and red fish past. When it is cross cut, the Intersection will show white and red whirl pool like a roll cake. 3. A city at the north-east corner of Shikoku Island, facing Kobe and Osaka. A big bridge, "Oh-naruto bridge" connects it with the main island of Japan via an Island named Awaji-shima in between.Hence, Dainaruto or Oh-naruto may refer to the famous noisy great tidal eddy.Many tourists just go to the Oh-naruto Bridge, get off their vehicles, wait and watch the great tidal while pool. Please note that the printed words on the top is looked from front, while the lower one is looked from back side. By the way, do you know "yukata" means "bathing wear", by its words?However, in real life, it is evening wear, for both staying at home, or for out-going, or visiting, especially it is very comfortable during hot and muggy summer evening. Is she going to make a yukata for herself? If so, please remind her when she wears kimono, the right piece must be under the right piece. Men and women wear kimono in the same way.Only the shrouds are worn left piece under right piece, men or women. Some movies made in Taiwan once caused big laughter in Japan years ago, just because the female star was wearing kimono with the left piece close to her body under the right side, just like she wore Western style dress. What a wonderful guy. I love when people take this kind of time to explain. This is an older story, but now, we are approaching appropriate weather for my creation, so I submit it to you, dear readers. Once upon a time, I fell in love with the dress pictured above, and asked the folks at International Pleating if they could pleat some fabric for me to execute my own dress, inspired by this design. Click the link for the beautiful story of this historic family business. Click this link, and this one, to see some work they have done for me, personally. This time, I wanted to do EXACTLY the white dress pictured above. I was sure of it. That was actually more than a year ago... but I haven't reported on this project until now. 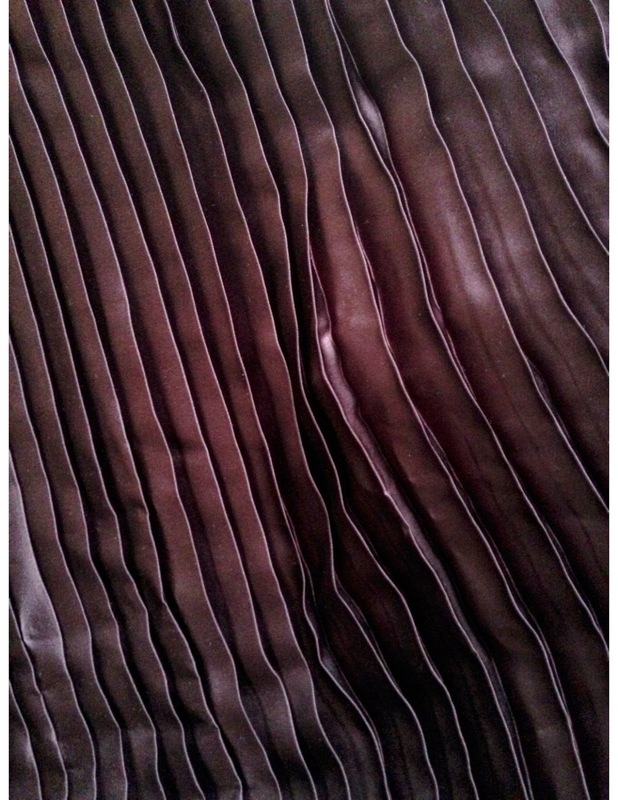 So, International Pleating pleated the brown silk on the cross-grain, turning it into something so texturally beautiful and graceful, I was almost afraid to cut into it. It started to whisper to me that it wanted to be something else. I steamed it a bit to get the little "kinks" out, and the fabric obeyed beautifully. I was ready to cut. And cut it, I did. So, after a few other permutations, sighing, pacing, thinking, putting it away and taking out, etc., I sculpted a patternless top that I probably manipulated several hundred times in my head, on the dress form, and on my own body before it sang to me. And sing to me, it did. My husband loves the deep brown color, as do I... it works well on brown skin. The horizontal back seam was subsequently flattened by being very narrowly serged and pressed upward to the lace side, so it has a bit of a "shadow" at the edge of the seam, which is fine, in my opinion. 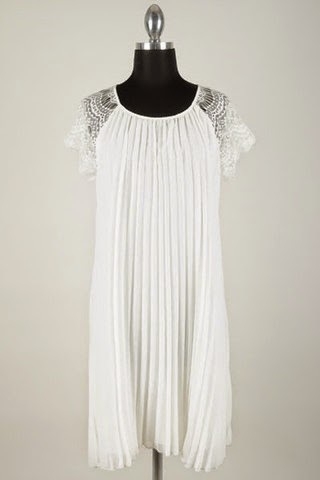 The top has lace extends beyond the shoulder, and curves at the at the cap to create a graceful bit of a sleeve. The top hangs to the hipline, and is extremely lightweight. *Can only be worn with a strapless bra beneath. So did I copy the dress? No, I made a blouse. 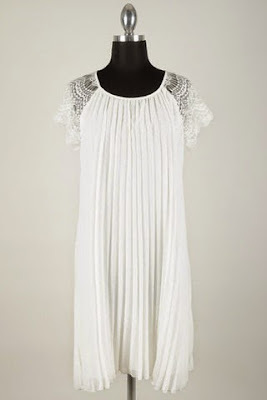 I just kept the lace shouldered/pleats below inspiration. Funny that I should EVER want to copy anything exactly, with all the possibilities that exist out there in the world. After all, what would the point be, really? We've all read about Target copying that boring t-shirt, when there is simply an unfathomable number of ways to decorate the blank canvas of a T-shirt! Why bother, Target? 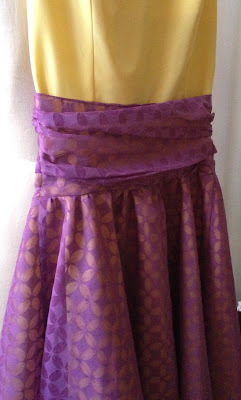 Because I appreciate the beauty of the pleating so much, I didn't want to interfere with, or complicate, the design. 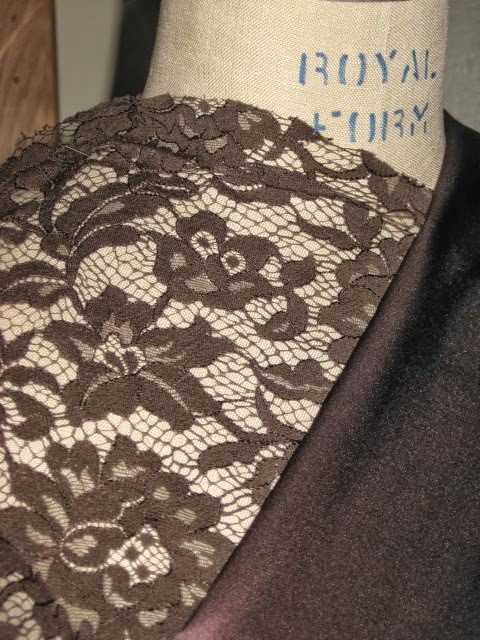 The blouse is simply two rectangles for the body, and two rectangles for the neckline/sleeve. 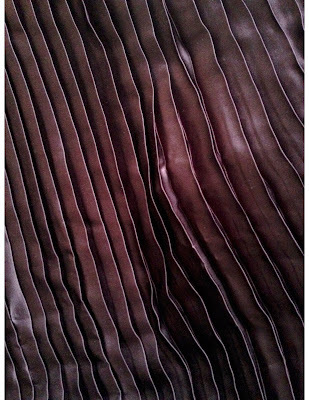 Important to know: how to sew seams in pleated fabric so the seams are invisible in the texture of the pleating, and how to hem pleated fabric, if desired. You can hem fabric before pleating, or use the selvedge edge, or hem the fabric yourself, and appreciate the "lettuce" effect it causes. International Pleating will walk you through these considerations. Yes. In fact, astoundingly so, in my opinion. And when it comes to artistic pursuits, is anyone noticing the rush of sound-alike music playing everywhere lately? Wanna take a tour? Click the link to see dates and options. Short on time in the district? Want a shorter, lower priced trip? Click here for another option. Wanna go shopping for free? MPB Day Peter of Male Pattern Boldness always hosts great shopping parties! So no, don't imitate anything exactly. Do your own version of what you do, using whatever makes your interpretation special! There are so many ways to do things, taking details to twist and turn and change, and it is great to make your own statement, whether the the people you encounter "appreciate" your version or not! As always, there is just so much more to say... and I'll share more later!